When you finally decide to step away from the traditional brick-and-mortar casinos and move to the online gaming space, you will immediately notice the immensely large number of options you will be presented with. Picking an online site can, therefore, be rather daunting for both beginners or novice poker players and experienced players alike especially because of the special features that are offered by different online poker sites. Fortunately, there are many websites out there that help and guide poker players when they decide to venture into the online gambling space. Still, it is very important to understand various aspects of online poker gaming, since more often than not, one or more of these aspects will have an impact on your overall experience. For this piece, we are going to look at one of the factors that creates the biggest divides between online poker sites, that is, the currency that the poker sites allow their customers to play with. This brings us to one of the most debated topics in the online poker industry – play money poker sites versus real money poker sites. Unfortunately, we are not going to be picking sides here. Instead, this will be more of an informational piece that will highlight the various qualities (good and bad) of both types of online casinos sites – based on that information, we are certain that you will be able to come up with a valid final verdict. After all, there is no right or wrong choice when it comes to online casino gaming as long as the overall experience matches your personal needs. Online poker has grown significantly in popularity over the past decade with audiences ranging from casual players to world-class professional players such as Phil Ivey. However, unlike the case in land-based casinos, not every poker player wants to play with real money all the time. This is where play money poker sites come in – they offer online poker players the opportunity to play without using real currency while still ensuring that they are able to fully enjoy the gaming experience. Play money poker sites cater primarily to casual players who prefer not to risk real money as well as players who are still new to the game and want to build their skills before moving on to real money gaming. So, instead of having players wager real money, play money poker sites give them alternative items or symbols of value that are referred to as “play money.” Play money, in essence, resembles real money but do not share the same monetary value that real money does – in fact, players can even purchase play money using real money at their online casino. As implied earlier, the internet is full of online poker sites and therefore you are likely to come across several kinds of play money sites. One of the things that differentiate these sites is the terms that are used to define the play money poker chips. Some casinos will call them virtual chips, others will refer to them as tokens and the rest will refer to them as coins. Ultimately, they all refer to the same thing and are used for risk-free, casual and recreational gaming. As the name implies, real money poker sites found at places like MoneyPokerSites.com are the kind that requires players to wager real cash on the table. In simpler terms, they are intended to replicate the real casino experience by allowing players to use chips that have real monetary value – just like in a land-based casino – to play at the online poker tables. These sites are officially licensed and regulated poker sites that offer real money poker games anywhere from just a few pennies up to thousands of dollars. Furthermore, the real money poker games offered can be played in the form of cash games or tournaments with varying buy-ins and stakes. The only catch is that to play, you will have to deposit funds into your real money poker site account. As for the audience that these sites target, it all boils down to whether you prefer or can afford to risk your hard-earned money at the online poker tables. Real money gaming is played mostly by very competitive players that are looking to make extra money on the side or are the professional ones who live off the poker winnings – but they are open to anyone who enjoys the thrill of playing with cash. While both play money poker sites and real money poker sites can offer exceptional gaming experiences, it is worth noting that there are some not so subtle differences between them (apart from the currencies, of course). The games, overall design, and navigation of both types of sites might be very similar but to be successful at either, you will need to change a few things. Generally speaking, the main difference between the two in the mindsets of the players. Even though there are some players who treat play money as real money and hence take it just as seriously as when playing with real money, for the most part, the skill level is rather low and strategic plays are far and few between. When real money is at stake, there is a huge psychological shift in the way a player perceives the games and its subsequent results. Play money online poker sites, on the other hand, are enjoyed by players with little incentive for bankroll and money management, both of which are key factors in real money poker gaming. 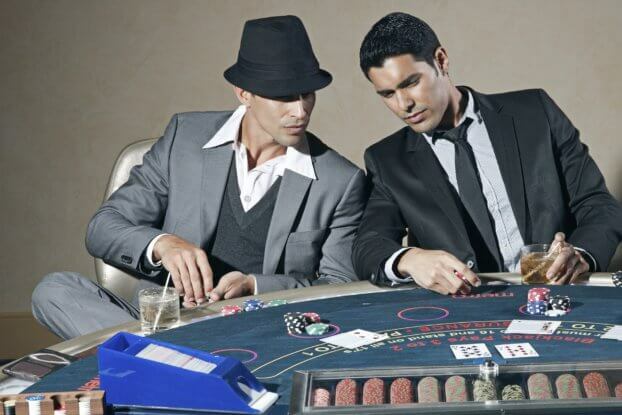 Even so, we are experienced enough to acknowledge the fact that the factors mentioned above are from generalizations and that they are totally subjective – it would not be surprising to find a player who treats both types of online casinos the same i.e., as serious competitive gaming endeavors.